My 50 page super hero parody Cat Suit is out today from Alternative Comics as an Ebook at this link. You can choose whether to buy it from Amazon or Comixology. It’s a darn funny book, full of snappy one liners and hilarity. What kind of whack job would put on a mask and a skin-tight suit and head out into the city after midnight? I mean, what is this guy really up to? What pathology, what perverse proclivity are we dealing with here? Is he fighting crime? Of course not, he’s just going clubbing—and he’s frankly perplexed when the aggressive bar flies & drunks single him out. The guy in question is Manx, a costumed cat man. 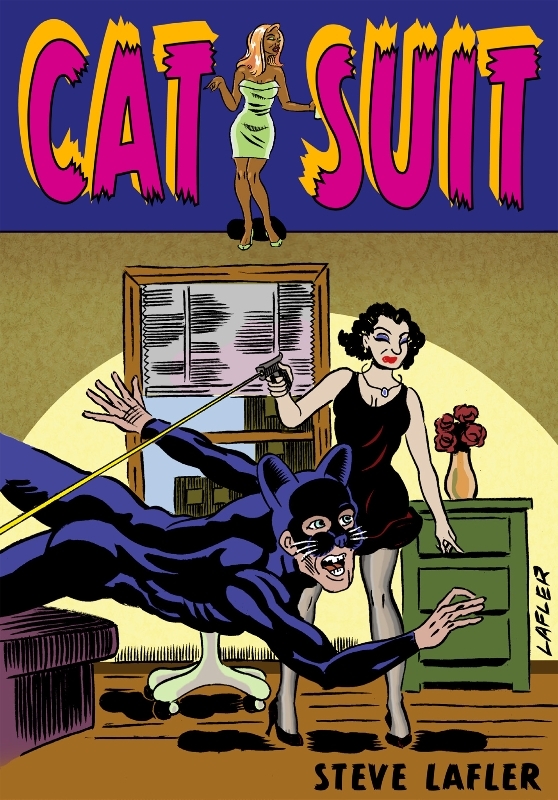 And here we have a nice Podcast review of Cat Suit from “Drunk on Comics”. These are clever, funny and smart guys, sort of a Car Talk approach to comics reviewing, but I will say their colloquial conversation on the merits of my work reveals as much about their bias as it does about my efforts.